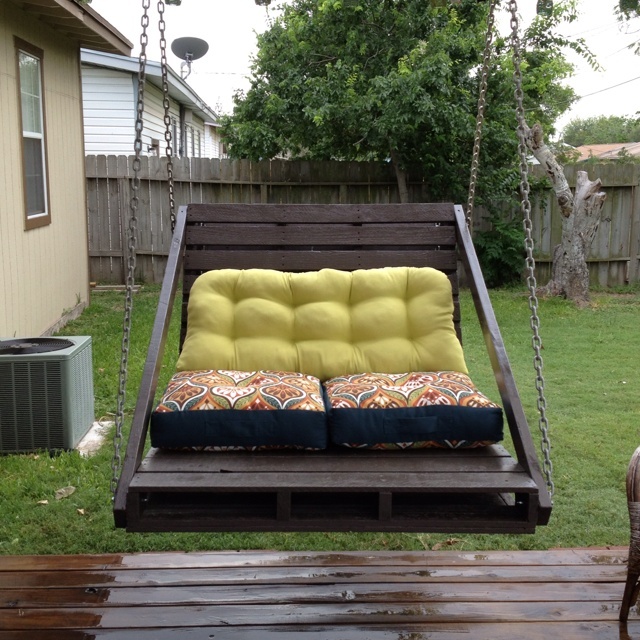 Decorate your garden, front and backyard with an affordable and stylish swing made of pallet. Garden, back and front yard, vacant porch and patio can be decorated with the help of a stylish swing and lots of colorful cushions. You can spend a quality time in the garden area to swing to enjoy pleasant weather. 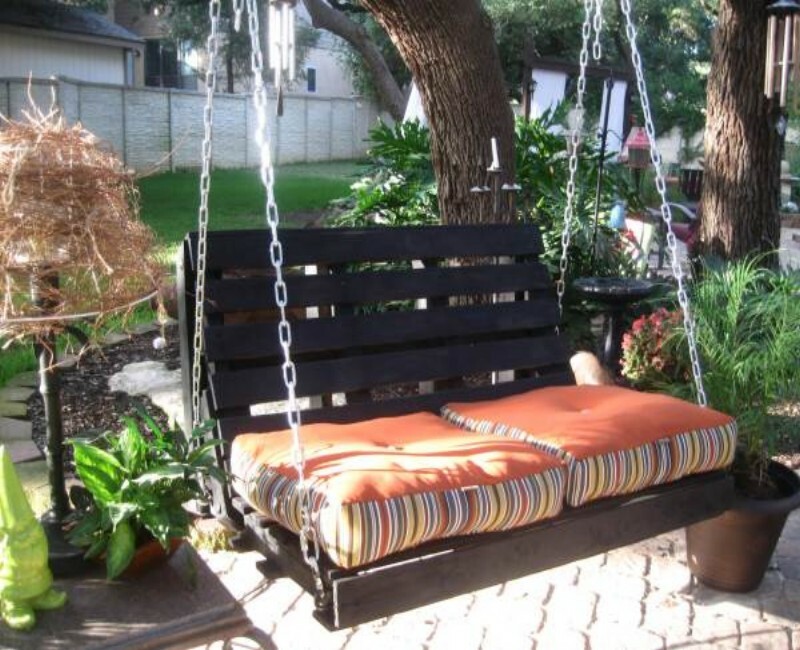 You can design a swing according to your needs and it will be a wonderful addition on your house. 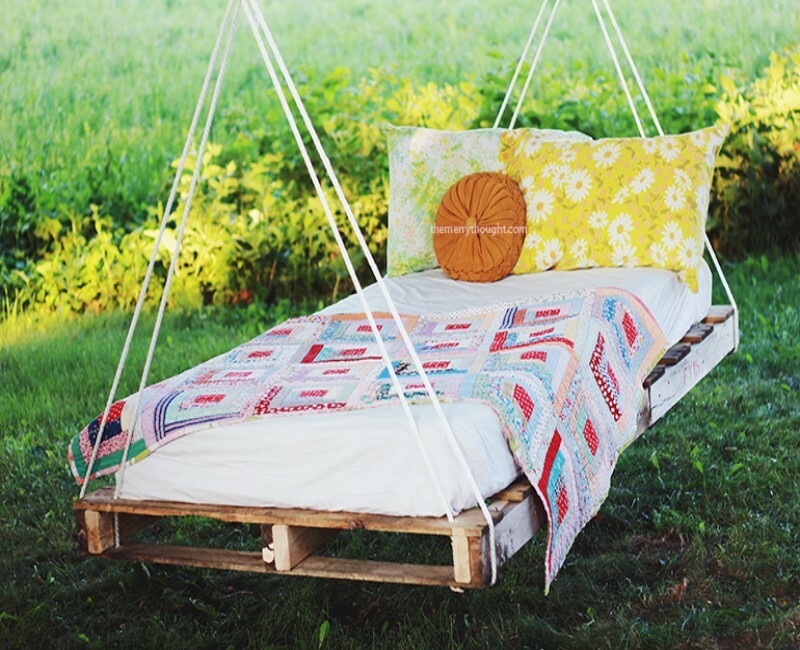 Pallet swing can be hanged on the ceiling, or from a durable tree in the yard so that the kids can have a great time in the house. Do not forget to enjoy the romantic and pleasant weather with your hubby. It is easy to build with the help of pallet wood. 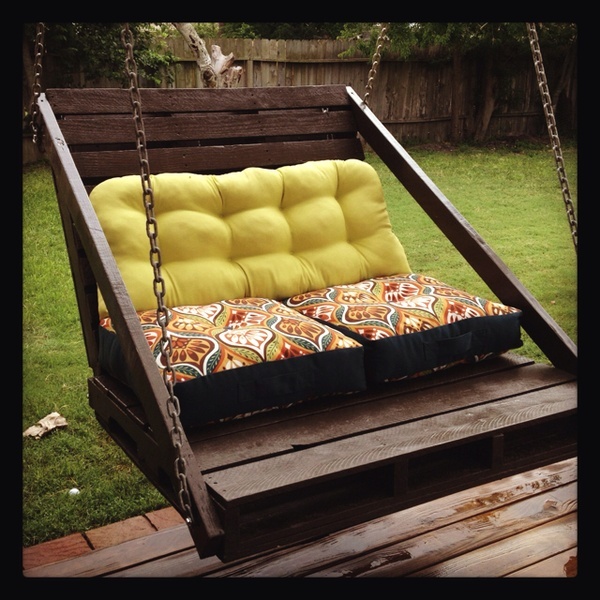 Enjoy summer vacations in your yard, or cozy up in the living room on the pallet swing. It will be a perfect luxury to relish the summer season, because it will be a creative delight. Arrange the pallet wood and sand it to get a smooth surface. You need to arrange pallet wood, spy bar, sandpaper, circular saw, nails and screws, screwdriver, triangular ruler, metallic chains, hooks, angle irons brackets, paint and brush. Disjoint and cut the pallet wood to refit the pallet skid. It is easy to design with some simple and easy to follow steps. Hang it with metallic and durable chains to have an elegant addition in the garden or indoor areas of your house.